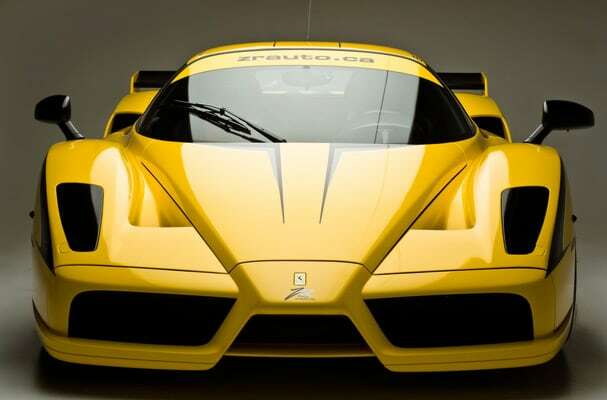 This Ferrari Enzo has a story soaked (literally) into its upholstery that is just as crazy as its looks. After Edo Competition added 180 horsepower to one of the most rare cars in the world, the owner of ZR Auto Zahir Rana was driving this V12 beast in the Targa Newfoundland race. Coming around a corner, the Enzo drove over a dirt path, losing control and crashing into the Atlantic ocean. Rana came out safe, but the car obviously needed some tuning after the accident. It went back to the Edo Competition shop, where the car was completely disassembled. Word is, Rana wants to add yet another 110 horsepower, putting the total at a whopping 950.